There’s nothing better than a good Christmas story, and this year I was lucky to come across a great one. As you know, Christmas is about more than just gifts under the tree or colorful lights. It’s about more than commercialism, more than merchandise, more than having another day off. Christmas is about something much deeper. It’s about warmth and love. About giving and gratitude. It’s about remembering, if only for a day, that we’re all a part of something greater and grander than ourselves. That we’re here on this small, beautiful planet not just to enrich our own lives … but to enrich the lives of others. I think the enclosed story illustrates those concepts beautifully. I hope you enjoy it as much as I did. 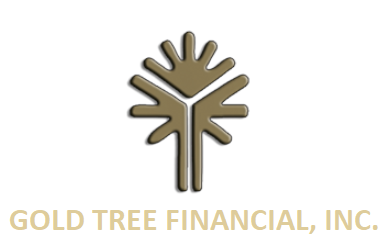 On behalf of all of us here at Gold Tree Financial, I wish you and yours a very Merry Christmas! One brisk winter day, shortly before Christmas, a man named Scott and his wife, Erin, were finishing their annual shopping trip for Christmas presents. On the way back home, Erin noticed a man holding a cardboard sign on the side of the road. With great pity in her eyes, she asked her husband for cash to give to the man. But Erin couldn’t accept that. She reminded him that Christmas was only a few days away. So Scott begrudgingly agreed to give the man $100, on the condition that they follow him to see how it was spent. “Scott, that’s cruel!” Erin exclaimed. Erin thought about this for a moment, and then reluctantly agreed. She was disappointed with her husband for wanting to do this, but decided it was worth it if it meant giving to someone in need. Scott turned the car around and headed back to the corner where the man was standing. He pulled over, grabbed the $100 bill out of his wallet, got out of his car and jogged over to the man. The man eyed Scott questioningly, as if he wasn’t sure whether to be worried or hopeful. His skin was thick, leathery, and wrinkled, as if he’d spent a majority of his time outside. His clothing looked as if it had been through a garbage disposal and then thrown in the mud. Silently, Scott banked his money on the booze and cigarettes. “Hello, sir!” Scott said, smiling, as he approached the man. “Good afternoon, and Happy Holidays to you,” the man said. Though he returned the smile, Scott thought the man still looked surprised, as if not many people spoke directly to him. “And to you, buddy. My wife felt like you could use a new coat and some warmer clothes, so we wanted to give this to you in hopes you could buy yourself something nice for the holidays.” Scott reached out his hand and offered the man the $100 bill. "Positive.” Scott extended his hand closer to the man. “Sure, Merry Christmas buddy.” Scott headed back to his car where Erin was waiting. Together they pulled into the parking lot of a liquor store not far from the street corner so they could watch what the man did through their rear-view mirrors. “You should be ashamed of yourself,” Erin grumbled. Scott rolled his eyes and continued watching the man. The man packed his cardboard sign and a mug into an oversized bag lying on the ground next to him. Then he picked up the bag and immediately headed to the liquor mart. Scott looked at Erin, who was still watching the mirrors intently. Nearly twenty minutes passed before the man came out carrying several bags. He walked back toward the corner, crossed the intersection, and began heading into the park across the street. Scott backed out of the parking stall and followed him. Once at the park, Scott pulled over once more and watched as the man put his bags down on a picnic table. Despite the fact that there was snow on the ground, there were several people at the park—including a few children—dressed in a similar manner as the man, with tattered and thin clothes. “These … these people live here …” Erin murmured. Scott couldn’t think of anything to say, so he just continued watching as the man began pulling packages of food, water and gloves out of his bags. Then, he began distributing the various items to multiple people in the park. They all smiled and laughed, and some even hugged him. Scott felt a sudden knot in his stomach and a burning in his throat. He looked at Erin, who was already sniffling and had tears streaming down her cheeks. Moved by a sudden impulse, Scott stepped out of the car and walked over to the man. Surprise splayed across the man’s face as he noticed Scott coming toward him. Then he smiled. Scott stared at the man for a few moments, and then pulled out his wallet. Silently, he gave the man the leftover cash from his Christmas shopping, knowing it would be put to good use. Scott went back to his car. Erin was leaning against it, waiting for him. He hugged her tightly, forever changed and truly touched by what he had witnessed that day. I hope this story reminds us what the holiday season is truly about. Wherever you are, and no matter what you have to offer, remember that by loving and taking care of one another, and by spreading hope to as many as possible, we can make Christmas truly the most wonderful time of the year.